The risk of developing diseases such as cardiovascular and metabolic diseases has been linked with where in our bodies we tend to accumulate fat. A large-scale genome-wide association study carried out by researchers at Uppsala University has now identified dozens of genetic factors that influence the distribution of fat, and found that genetic effects are more strongly associated with fat accumulation in women than in men. After puberty, men and women tend to accumulate fat within different body compartments. 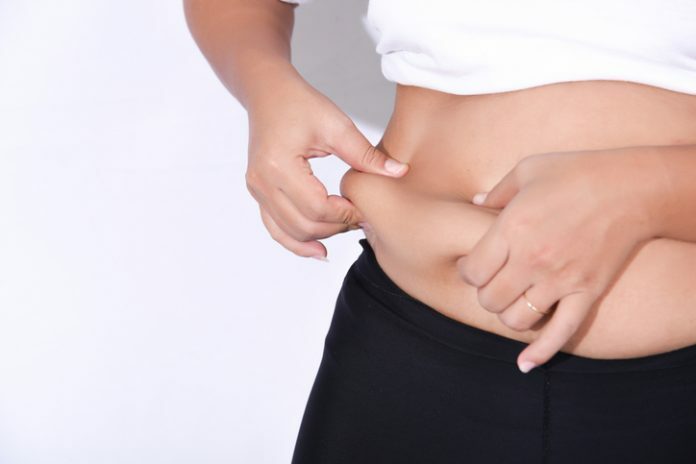 Women commonly put on fat in their trunk and limbs more than in other parts of the body, whereas men tend to lay down most of their fat in the trunk, the researchers noted. Epidemiological evidence has suggested that the distribution of body fat within different body compartments is also associated with differential risks for developing cardiovascular and metabolic disorders. The team looked for genetic factors that might influence what fraction of total fat mass is accumulated in the arms, legs, and trunks of men and women. The Uppsala University team leveraged data from 362,499 participants in the UK Biobank cohort, to carry out a genome-wide association study to link genetic factors with body fat distribution to the trunk, arms, and legs. Fat measurements had been estimated in each participant using a technique known as segmental bioelectrical impedance analysis (BIA). The team’s analyses, which tested millions of different genetic variants, were also designed to identify genetic effects that were different between men and women. The analyses identified 98 independent genetic signals that were associated with body fat distribution, including 29 that hadn’t previously been linked with fat-related phenotypes. Genetic associations also strongly differed between the sexes, “… in particular for distribution of adipose tissue to the legs and trunk where effects are primarily observed in females,” the authors wrote. “We were struck by the large number of genetic effects that were stronger, or only present, in females,” commented research lead Åsa Johansson, PhD. A closer look at the genes identified in women suggested that body fat distribution to the trunk and legs in females involves mesenchyme-derived tissues and cell types, as well as factors involved in extracellular matrix modeling, and female endocrine tissues. “Upon closer examination, several of the associated genes were found to encode proteins that actively shape the extracellular matrix, which makes up the supporting structure around cells,” Johansson noted.